"I think Nathan Coulter-Nile is someone who will get a nod for the World Cup." Current world champions Australia have had a forgettable last one year and are languishing at No.6 in the International Cricket Council’s rankings in the ODIs. The Aussies will have one of their most challenging world title-defending campaigns in the upcoming edition this year in England and Wales. The yellow jersey fans are eagerly waiting to see the return of two of their big players – Steve Smith and David Warner- to the World Cup squad and boost the team’s chances. Australia haven’t won a series in the 50-overs format since beating Pakistan 4-1 at home in 2016-17 and lost to England, South Africa, and India in their last three home series. They were also blown away 5-0 by England in an away series last year. The Aussies have struggled across all formats ever since Smith, a former captain, and Warner, a former vice-captain, were handed a year-long ban after being found guilty in a ball-tampering scandal in South Africa last March. Their bans get over next month. 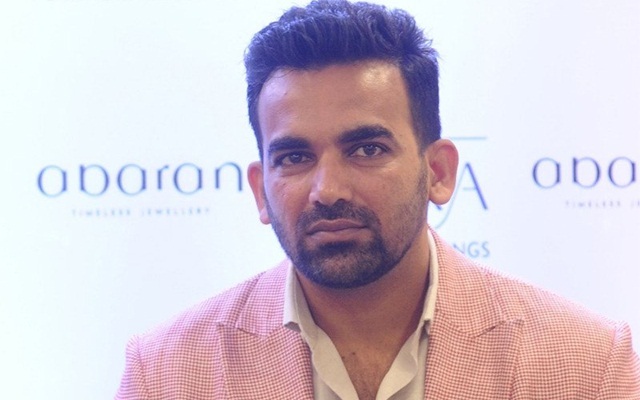 While former Australian greats like Ricky Ponting and Shane Warne were confident that Smith and Warner – both big hitters – will make a return to the World Cup squad, former India pacer Zaheer Khan thinks otherwise. The 40-year-old former left-arm seamer, who played in three World Cups (2003-11), ignored the duo while picking his Australian squad for the showpiece event citing injury-related problems. “I think the confusion has been going on for too long. And Smith being injured as well and hence the selectors might go in this direction. And for a tournament like World Cup, you don’t want players coming off injuries or having a patchy form. In the case of Smith and Warner, it is not going to be an easy comeback I feel,” Zaheer was quoted as saying by Cricbuzz. Both Smith and Warner sustained injuries recently and the former has found himself out from a number of T20 tournaments starting from the Bangladesh Premier League (BPL). He underwent a surgery in his injured elbow and it is uncertain whether he will eventually be picked for the WC. Co-incidentally, Warner too suffered an injury blow to his elbow while playing in the BPL, just like Smith. Zaheer’s squad for Australia included Aaron Finch as the captain, Nathan Coulter-Nile, Jhye Richardson and D’Arcy Short who has been in good form in Big Bash League(BBL) this season, among others. “I think Nathan Coulter-Nile is someone who will get a nod for the World Cup. And Jhye Richardson has killed some chance of Josh Hazlewood to go to the World Cup. He can contribute with the bat as well,” Zaheer said. Aaron Finch (c), Alex Carey, Nathan Coulter-Nile, Shaun Marsh, Pat Cummins, Peter Handscomb, Marcus Stoinis, Usman Khawaja, Glenn Maxwell, Jhye Richardson, Adam Zampa, Nathan Lyon/Ashton Turner, Mitchell Starc, D’Arcy Short.